“According to most studies, people’s number one fear is public speaking. Number two is death…DEATH IS NUMBER TWO! Does that sound right? This means to the average person, if you go to a funeral, you’re better off in the casket than doing the eulogy”. Funeral Director Adrian Barrett has no fears with public speaking and being in the spot light. Adrian has appeared in two ‘It’s your funeral’ campaigns created by Lateral Aspect, Perth that throws a comedic approach to the business of funerals and pre-planning your own big day. Adrian also appeared in the ‘Full Circle’ ad that explains that their business is more than just funerals-it’s about understanding emotions, exceeding expectations, managing budgets, helping families, and supporting our community. 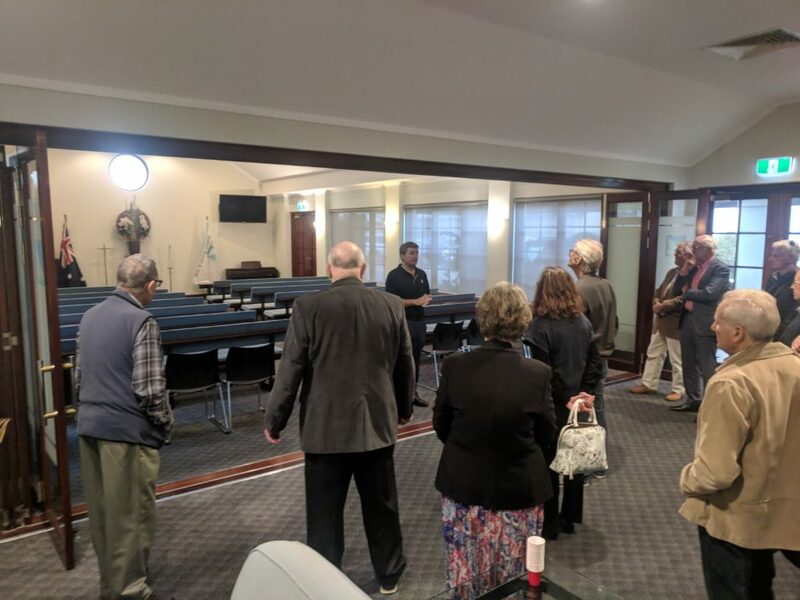 Adrian also gave a detailed, behind the scenes, tour of William Barrett and Sons operations to Rotarians on Wednesday night, complete with props and the assistance of our very own South Bunbury Rotarian AG Ben Andrew. 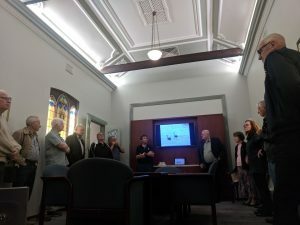 On Wednesday night Rotarians viewed the operations of the mortuary and learnt about the history of William Barrett and Sons, at Spencer street, Bunbury. Rotarians were intrigued to learn about William Barrett and Sons heist, caskets, family room, chapel and embalming process. Some Rotarians were also surprised to learn that William Barrett and Sons was established in 1897 and has enjoyed an incredibly enduring period of success based upon performance. 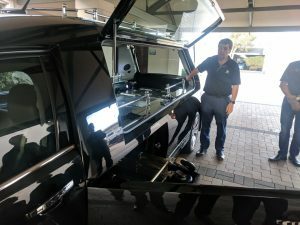 William Barrett and Sons has been the South West’s only family-owned and privately-operated funeral company for more than four generations. It now has offices in Busselton, Bunbury, Collie, and Harvey, and it currently constructing another mortuary in Bunbury. William Barrett and Sons prides itself in delivering a service, respect and compassion well beyond our expectations. Whilst you may assume that some of their services are similar to their counterparts, their superior service and community support set them apart. This year they have held their 36th Barrett Bunbury Swim thru which raised $3,000 for the City of Bunbury Surf lifesaving club. They have also organised and hosted its 25th consecutive Australian biggest morning tea which raised $29,000 for cancer research this year. In addition, annually they raise money for Cystic Fibrosis, and support and attend the Op shop ball. After their, behind the scenes, tour of William Barrett and Sons Rotarians had something to eat and drink at the Prince. However, no one made any plans for their own big day like Adrian suggests in “Its your funeral” campaigns.